Join us for our exclusive interview with Progressive Rock Legend Neal Morse. We explore Neal’s background in music, thoughts on the accomplishments of both his solo career and his time with Spock’s Beard, his one word descriptions of current band members, his thoughts on how to be authentic while following your calling…and much more. Dave Coleman: When and how did you get your start in music? 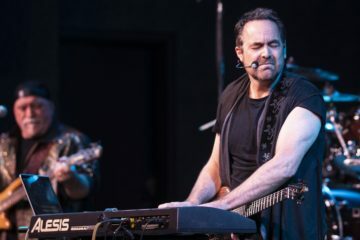 Neal Morse: I got started when I was about four years old. My dad was a choral director and my uncle was in a jazz vocal group called the Hi-Lo’s that did really well. They sang with Rosemary Clooney and Frank Sinatra. So that music was around the house too. And of course, you know, it was the 60s and the 70s and music was just at the forefront of culture. So I was just totally into it, man. Anything that was on the radio: Stevie Wonder, the Beatles, the Beach Boys, Simon & Garfunkel, The Who. All of it. Dave Coleman: I have two older brothers. My oldest brother is about ten years older than me and my next oldest brother is about seven years older. While I was growing up I was listening to Beatles and Led Zeppelin and all that kind of stuff as well. Plus I have some family history in music as well. My dad’s uncle played with big bands. He played with Tommy Dorsey and Xavier Cugat and all those types of guys. You know, from back in the forties, I guess. I’m also related to drummer Chad Wackerman who has played with artists like Allan Holdsworth and Andy Summers from The Police. Neal Morse: Oh yeah, yeah. I had an uncle that played with one of the famous bands…Stan. Stan Kenton, I think. Dave Coleman: So at the time when rock music was kind of transitioning from hair metal to grunge, why did you decide to form a Progressive Rock band? Neal Morse: Well, let’s see. I felt like I had a gift in composing and I wrote a lot of songs of a lot of different styles, I wrote rock songs and new wave songs and acoustic ballads and classical music. And I liked all kinds of music. So I decided that my best shot, and what I loved the most at that time, was singer songwriter stuff. So I became this kind of brooding singer songwriter writing a lot of really sad songs and things. So I was trying to get a record deal as that guy all throughout the eighties. I was in my twenties. And then in the early nineties, I kinda became really disillusioned and depressed with the whole thing. I had never gotten anywhere. I lived in L.A. and was trying to get a record deal and showcasing all that time. And I did this self growth course. You know, a very a California sort of thing. But what I saw out of it was that somehow I’d gotten, um, what’s the right way to put it? Like who I was creatively had somehow gotten all covered up with disappointment and resignation. And I kind of had this awakening in which I thought, when I was a kid, I wanted to write big pieces of music. I wanted to write music like Yes, or Leonard Bernstein. Or music like West Side Story. I wanted to write big things. How did I get into this little, small, three-minute sad song thing? I didn’t want to do that anymore. And so right out of this course I wrote what would become the first Spock’s Beard album. I wrote The Light and Go The Way You Go. Just kind of getting creatively freed up. So I just kind of went for it. And that became the first commercial success that I ever had. So that was how I started in it. And then we just kept kinda chasing it and following the music where it wanted to go. One thing led to another and you know, we made a bit of a name for ourselves in the very small pond of Progressive Rock. Dave Coleman: I remember the first time I was exposed to Rush. I was in middle school and heard the song, The Temples Of Syrinx. At that very moment I knew I wanted to play drums. So what was your first exposure to Prog Rock? Neal Morse: Well, my biggest one. The biggest life change, you know,”Aha! Light Bulb Moment” for me was when I saw Yes open for Black Sabbath at the L.A. Forum. I’d been into the heavier stuff, like heavier rock stuff. I got into the power of it, Grand Funk Railroad and Black Sabbath. And then when I saw Yes, it was like, Whoa, Whoa, Whoa, wait a second. You can have it all in one thing. You can have the power of rock, the complexity of classical, the creativity of jazz, nice pop choruses. I felt like Yes really did something very, very unique and special and and it really changed my life. Dave Coleman: I remember when I was a little kid hearing Roundabout on the radio. I was mesmerized by that kind of stuff. I’m a self-taught drummer but grew up playing the French Horn, so I always loved the complexity of music and the “musicianship factor.” Anything that kind of stretched my limits was really attractive to me. Neal Morse: Oh yeah. Yeah, yeah. For me it was Heart Of The Sunrise. They played Heart Of The Sunrise from the Fragile album at that concert and that was with Bill Bruford on the drums. Dave Coleman: He’s amazing. I recently saw Jeff Berlin (who once played with Bill Bruford) at a small jazz club here in Nashville. I’m in the Nashville area too. Do you know who Jeff Berlin is? Neal Morse: Oh, yeah. Oh yeah. Dave Coleman: He was amazing. My jaw hit the floor and I never was able to pick it back up for the entire show. It was just crazy. Traditional jazz…and the drummer; I can’t even fathom playing like this guy. It was quite, quite impressive. So, moving on, when somebody asks me about my favorite Prog Rock song, my answer is always Rush’s La Villa Strangiato. For me that song is absolute perfection. Is there a Prog Rock song that sticks out in your mind to that same degree? Neal Morse: Yeah, I would play people Heart Of the Sunrise. I also think a really good example is Dance On A Volcano from A Trick Of The Tail by Genesis, I think that’s a good place to start. Um, I really like Tarkus from Emerson, Lake & Palmer, but that’s maybe a little bit too long if you’re going to try to introduce people to it. From the 70s, those are some of my favorites. Dave Coleman: Why do Europeans seem to embrace Prog Rock so much more fervently than Americans? Neal Morse: Well, I don’t know if they do particularly. Um, you know, our audiences are just as enthusiastic here. They’re a little smaller. For us in our world, it isn’t that dramatic of a difference. We don’t go over there and play stadiums and then play small clubs here. We play a little bit bigger clubs, a little bit bigger theaters there. There are a couple of markets, a couple of places where we draw, you know, two thousand people or something like that, but generally, we’re in the five hundred to a thousand world and have been for a while. And, you know, that’s okay. What I love about the Prog audience is how deep it is for them. They’re really into it. Dave Coleman: Oh yeah. In the 90s. I basically veered off and started exploring the whole alternative music scene. So I kinda left behind my love for Prog. And then about five years ago, right around the time you released The Grand Experiment, that’s when I really started re-exploring Prog Rock and eventually came across Spock’s Beard. During that nineties period I just wasn’t plugged into that scene. But Spock’s Beard and Neal Morse have been my jam for about five years now as I’ve really been exploring just about everything you’ve done. Neal Morse: Oh, that’s great. That’s great. Thank you. Dave Coleman: No, thank you. Considering the fact that you formed a Beatles super group with Mike Portnoy, Paul Gilbert and Matt Bissonette, I’m assuming you were inspired by the Beatles. If my assumption is correct, what do you think made the Beatles so special? Neal Morse: Oh, well, great songs mainly. Great songs, great vocals, cool arrangements. Personality, you know, diversity. You couldn’t get more diverse than, I dunno, Blackbird and Helter Skelter on the same record. Dave Coleman: I know, right? That was my favorite period. Their later period. The drug induced hippy period. I love it all. I think George Martin had a lot to do with their success. Neal Morse: Yeah. All the sounds are great. They really hold up. Mainly, the bottom line for me is that it’s always about the song. It’s about the beat. That’s what I’m relating to. Dave Coleman: So, considering your extensive tour schedule, I’m sure you’ve probably made it to Liverpool at some point. If you did, did you get a chance to take the Beatles tour? Neal Morse: The funny thing is that everybody I know has done it, but I never have. I still have not. Yeah, I’ve never made it over there. Dave Coleman: I went there after I graduated college with one of my best friends. His mother was from England, so he had relatives there and it was like having my own personal tour guide. The Beatles tour is pretty incredible. We saw the place where John Lennon’s mother was run over and killed. We saw Penny Lane, Strawberry Fields, the street corner where John met Cynthia, you know, all those kinds of things. It was quite the experience. As I was preparing for the interview I was thinking that the theme of light versus darkness is pretty universal throughout different cultures. From your earliest days in Spock’s Beard, you really seemed to be exploring these spiritual concepts. Were you raised in a Christian household? 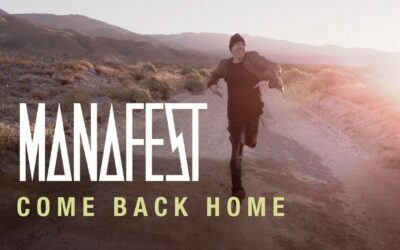 Neal Morse: Well, my dad worked in the churches but, by the time I was growing up, my parents had really kind of become atheists. Neal Morse: Yeah. So I was not raised with any kind of idea that Christianity was good at all. In fact, really kind of the opposite, you know. Just the point of view of the culture and you know, uh, the whole thing. So it was quite a thing for me to become a Christian because I had always been quite cut off from it really. Neal Morse: No, my brother’s not a Christian. He’s a very good guy, but he’s not a Christian. Dave Coleman: Oh, okay. One of my favorite Neal Morse-era albums from Spock’s Beard is Day For Night. In your opinion, what was your crowning achievement with Spock’s Beard? Neal Morse: Oh, wow. There’s a lot of material there. My personal favorites are Beware Of Darkness and Five (V). Dave Coleman: Yeah, those are great albums too. Neal Morse: Those are my personal favorites, but there’s good stuff on all those records I think. All the records have wonderful elements. Dave Coleman: There are only a couple Spock’s Beard albums that really didn’t connect with me very much. And those were the ones right after you left – Octane and Feel Euphoria. Following up on that last question, what do you think is the most meaningful achievement from your solo career after leaving Spock’s Beard? Neal Morse: Oh, wow. Most meaningful achievement? I don’t know. Um, my personal favorite? What would I say? It’s really hard to say. It’s like judging between your children or something. The One album is one of my personal favorites. I love Testimony too, but I love the One album. And Similitude Of A Dream is a big high point. And this new album, The Great Adventure, I think those are real high watermarks creatively. Dave Coleman: I definitely agree with you on those last two. I still haven’t explored some of your earlier solo material, but am kind of working my way toward that. Neal Morse: Oh wow. Yeah. Well you need, you need to get Testimony and One for sure. Question Mark and Sola Scriptura are real strong as well. Dave Coleman: In the context of my 9-5 jobs, I’m really plugged into the Christian metal scene. I’m not really a metal guy myself, but somehow I ended up plugged into that scene. I work with several Christian Metal labels. There’s one guy I was speaking with about you and your music. I turned him on to The Similitude Of A Dream. He mentioned Sola Scriptura and said it was almost a metal album. So I did take a listen to that but haven’t really circled back around since then. But that was only a couple months ago when he mentioned the album. Neal Morse: Yeah. It has some harder edge things on it. Dave Coleman: I’m a member of the Prog Magazine Readers‘ group on Facebook and there is a gentleman named Doug McElfresh from the group who wanted me to ask you what you think of Spock’s Beard’s material since the addition of Ted Leonard’s writing and vocals. Neal Morse: Oh, I like it very much. I think Spock’s has done some really good stuff. I thought the last record was really good. I listened to it while I was driving through Canada and I was up there on tour and I really enjoyed it. I think they’ve been doing some really good work. I couldn’t be happier. Neal Morse: That was a good one. Yeah, I thought that was a high point. Dave Coleman: I thought that was a fantastic album. Still one of my favorites from the period after you left the band. I would probably rate that one as my favorite album post Neal Morse. So now we’ll move on to the current stuff. Those who are familiar with your music are eagerly awaiting the January 25th release of your latest album, The Great Adventure. It’s the follow up to Similitude Of A Dream, an album based on the Christian allegory of The Pilgrim’s Progress. What would you like a potentially brand new audience to know about The Great Adventure? Neal Morse: Um…it’s long. I would like them to listen with an open mind, open ears and to understand that it’s a journey; to try to take in the whole picture. And man, I hope that they feel it and love it as much as we do. Dave Coleman: I’m loving it so far. I’ll tell you that. What’s your favorite lyrical theme on the album? Dave Coleman: Yeah, those are great lyrics. Neal Morse: Getting some of those interesting words in there was kind of fun. Dave Coleman: Yeah. I like when, when lyricists challenge me to learn something new. So I go look it up, look up the words. I didn’t know taciturn. I kind of knew iconoclast but I definitely had to go look up taciturn and I see exactly what you’re getting at after I did that. Neal Morse: Right. Yeah. Yeah. I’m trying to describe this character. Dave Coleman: Similarly, what’s your favorite musical theme on the album? Neal Morse: Yeah. It could be. It’s orchestral, you know? I think most of the time what we think of when we hear orchestral themes, that might be a point of reference. I go to the Schermerhorn quite a bit to see the symphony and I get inspired there. Dave Coleman: There’s another gentleman named Julian Holdsworth. I don’t know if he’s related to Allan Holdsworth or not, but he’s another member of the Prog Magazine Readers’ Facebook group and he wants to know how much of your own spiritual journey is evident in the lyrics from The Great Adventure. Neal Morse: But you know, it wasn’t really my idea. I have to be honest. A friend of mine visited the sessions we did in January. He was there when we were working on the very end of A Love That Never Dies. I didn’t have lyrics at that time. I just had (sings) “Oh, through the flood and through the fire. Oh, Dah, Dah, Dah, Dah, Dah, Dah, Dah.” And he kinda felt inspired so he shared some ideas with me. I ended up changing what he wrote, but the part that was like, (sings) “come on, you can find a place that’s higher. Come on. You know, as the storm’s begin to rise, come on seek your heart’s deepest desire for a love that never dies.” God planted in the heart of everybody…we’re all desiring the Kingdom of God, right? We want to inspire people to seek that and then God will channel them. God will lead them. They are his children and he will show them the way as he sees fit. And in his timing. But I want to inspire people. That’s my goal on these records, to inspire people to seek after spiritual things, to seek after the Lord and see where it leads you. And I believe if we’re all seeking after God we’ll all wind up coming to the same place. Dave Coleman: Okay. Yeah, that’s great stuff. I mean that’s the purpose of my interview. I’m trying to inspire Christian artists who want to get out there in the world and really present the message of the Gospel with the world without being too in their face. So those are things that I wanted to talk about. I was wondering if we’re going to see another The Similitude Of A Dream: Live In Tilburg type concert video for this tour? Neal Morse: Uh, I don’t know. I do not know. Um, we’ll see. We weren’t really planning on releasing the other one. It just came out so good that we decided to release it. Dave Coleman: Yeah, I love that video. So we’ll just wait to hear more about that. When I say the name Mike Portnoy, what pops into your mind? Dave Coleman: Yeah, that’s a good one. Neal Morse: (laughs) Off the chart. Dave Coleman: Exactly. I saw a video of him playing the drums. I couldn’t believe he was that good considering the fact that he’s such an amazing guitarist. Neal Morse: Randy George. Faithful. Dave Coleman: Okay. How about Bill Hubauer? Dave Coleman: He’s a lot more talented than I realized. When I was preparing for this interview, I dug up some of his old audition videos from when he was auditioning for the band. He was playing all kinds of different instruments and was very competent on all of them. So he’s pretty impressive. Neal Morse: Oh yeah. He’s crazy impressive. God has done an amazing thing putting us all together. When I started doing those auditions…sometimes we’re just looking for our little bit. I was just looking for people that could perform my music well and sing all the parts, you know. I was looking for a lean mean machine to tour with, essentially. And then I wound up with these amazing collaborators and friends. It’s really amazing what God does. Dave Coleman: I really love the timbre of Eric’s voice. It’s amazing. It’s just so crystal clear and really sticks out in the mix. Neal Morse: Yeah, yeah. I love Eric’s voice too. And Bill’s. Dave Coleman: Yeah. Yeah. Bill too. He’s got a very unique quality to his voice. Neal Morse: He does. Yeah. He’s got a really interesting quality to his voice. And it’s really fun to be able to work with all these different instruments, so to speak. Dave Coleman: When you’re songwriting, do you have one particular instrument you like to write on or do you kind of go between different instruments? Neal Morse: I go between. Sometimes I feel like writing on keyboards. Sometimes I feel like writing on guitar and I’ll switch between…sometimes it’s electric, but it’s usually acoustic guitar or piano. Dave Coleman: Do you have any tips to share with musicians who might wish to write and record a Progressive Rock album? Neal Morse: Wow. What would my pick be? I guess it would be, forget it all. Create from nowhere. Dave Coleman: So just kind of get into the spirit of it, immerse yourself into the process and let the creativity roll? Neal Morse: Yeah. And try to create from as pure and honest of a place as you can. Dave Coleman: Having a musical background, I’m not really competent on any other instrument other than drums at this point, but I kind of started pecking out some stuff on acoustic guitar and am now trying to learn to play the guitar better. I wrote and recorded some stuff that I think is okay. Not anywhere near what you’re doing, but it’s just so much fun. It’s fun to be creative and to create things that other people might be able to enjoy. Neal Morse: Oh yeah. And keep at it. I remember like in the late eighties, I tried to write a Progressive Rock piece and it just didn’t work. But then, you know, later on it did. So you stay with it, you know? Dave Coleman: Yeah. I’m going to keep plugging away, that’s for sure. So I’ll skip forward just a little bit to be respectful of your time. I’ve been a huge fan of Steve Morse for quite a long time. Probably since the early eighties. Did you know him before coming together to form Flying Colors? Neal Morse: We’d never met. I was a bit of a fan myself. I really liked the Steve Morse Band. I liked the stuff that they did together. Dave Coleman: Yeah, me too. Rod Morgenstein is one of my favorite drummers. I recently read on your Facebook page that you’re either done or nearly done with the recording of the next album from Flying Colors. Do you have a target release date yet? Neal Morse: I’m actually diving into doing the keyboards today. Dave Coleman: Fantastic. Do you have any kind of estimated release date you’re shooting for? Neal Morse: Well, I shouldn’t say because I don’t really know. We’re hoping to put it out this year. I’ll say that. Dave Coleman: Uh Huh. Okay. Looking at some of the artists you’re currently working with and others who’ve ended up in Spock’s Beard, I find it kind of interesting that both Casey McPherson and Ted Leonard were both worship leaders before joining those particular bands. What unique perspective do you think they bring to the bands? 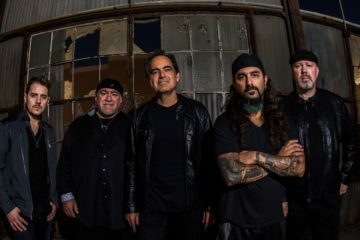 Neal Morse: Well, they’re both really interesting and spiritual guys, so that brings a flavor to the writing that’s really cool. Yeah. Wow. They’re really different. I mean, Ted and Casey. Wow. They’re really different people. But, in a sense, singing and music are so inherently spiritual. And the vibe of the whole thing, you know, it’s just, oh, it’s exciting. I’m excited. Dave Coleman: I really liked the first Flying Colors album. I think that’s an amazing album. Just a solid album with great songs. So I’m looking forward to seeing what you guys come up with this time. The second album was good as well, but that first one just really sticks out to me. I’m looking forward to hearing the new material. Dave Coleman: Maybe you can briefly give me your thoughts on the “get a drink, lose a chorus” and then tell me about the new one. Neal Morse: (laughs) Oh, well, you know, with Flying Colors everything’s changing and moving so quickly. You will go to make yourself a cup of coffee, come back into the room and the chorus is completely changed or something, like the song is totally changed by the time you get back. Dave Coleman: What I read was that everybody in the room wrote their own version of the chorus while you were out getting coffee. Neal Morse: Yeah. Things change really quickly. Mike had to do a conference call during these last sessions and so he left one afternoon to do this conference call and by the time he got back, man, the whole song was just completely changed and we moved on to another song. But he said “I trust you guys with this one.” It was pretty well sketched out and so we just kinda moved on. That was it. You know, you take a conference call. You’re out of the loop. Neal Morse: Yeah, it’s pretty amazing. Dave Coleman: Well I have a handful of questions left and these are more spiritually-oriented. After I became a Christian, there were certain artists that I had to leave behind basically due to the lyrical content. Do you still listen to secular music and if you do, where do you draw the line regarding what you’ll tolerate in terms of lyrics? Neal Morse: Well, to me it’s a feeling, you know? It’s a matter of whether I feel convicted about it or not. There are a lot of guys that did a lot of really great music but the lyrics were kind of like, huh? Uh, I don’t really feel that. You know, I don’t really feel that lyric. Like Steely Dan, for example. I was listening to Countdown To Ecstasy the other day, and I love Steely Dan, you know? The melodies and the chords and the weird vibe is so cool. But I just, I don’t know. I just can’t relate to a lot of those lyrics, you know? “Will you still have a song to sing when the razor boy comes and takes your fancy things away?” I’m like, what? Neal Morse: Yeah, you just don’t relate to it. And there are certain things that I sort of shy away from. It’s just a matter of how you feel about it; if you feel that conviction about it or not. I think it’ll be a natural thing in the spirit. The spirit of God in you will just kind of feel a little aggrieved and then you kind of just, you know, put something else on. Dave Coleman: Yeah. I agree with that. One band that I really had to leave behind was the band Tool. Their stuff was just so blasphemous that I just couldn’t listen to it anymore. I didn’t even want it in my household. Neal Morse: I don’t know their music so I can’t comment. Dave Coleman: I went to see Sons Of Apollo, a few months back. During one of the breaks between songs, Mike mentioned something about being in town, working on Christian music and the audience didn’t really react one way or the other, so it was kind of weird. I thought it was pretty bold to actually mention that in that setting because it was definitely a rock and roll crowd. Neal Morse: Oh, I think he said it’s his first time in Nashville doing something that wasn’t Christian. Dave Coleman: Oh, yeah, that might be it. Are all the current members in The Neal Morse Band Christian? Neal Morse: Uh, yes, except for Mike. Dave Coleman: Oh, okay. Is he on the fence at all or, I mean, is being around you, is that a good influence or is he just closed off to it? Neal Morse: Uh, you know, I leave that between him and God. I feel like he gets it. He’s a good friend and I don’t really press him about it. I just try to show love to him and we pray together. I just want to be there for him. And, uh, I don’t really know. It’s a work in progress. Dave Coleman: I grew up in a Christian household but once I hit the age of sixteen, I started walking away and I continued to walk away for a long time. I really did a lot of damage to my life. In the end, I think the difference for me was the example set by my Christian parents and the fact that my entire family continued to pray for me during those years when I walked away. Finally something just happened. God worked and he moved; and I ended up back in a great church down in South Florida. The rest is history. So God works in strange ways. Sometimes he allows us to go through some really painful things so that we’ll be able to use those difficult experiences to help others. I think that’s really what it boils down to. Neal Morse: Yeah. For sure. Dave Coleman: So I’m getting close to the end of the interview and have three more questions left. I come across some people on social media who are into your music but basically claim they’re turned off by some of your lyrics and what is sometimes perceived as a worshipful demeanor on stage. How do you deal with that kind of criticism? Neal Morse: Oh, I dunno. I just feel like every artist has to be themselves. And if some people don’t like it or they don’t like where the person’s at or how they are expressing themselves then that’s their prerogative, but I don’t have a particular opinion about it. I’m kind of going to just express myself to God however I feel to, and let the chips fall where they may. Some people will enter in, some people won’t like it and leave. Some people will be like, oh, whatever. I’m glad he’s enjoying himself. You know what I mean? There’s every kind of response. But I think we need to just be honest and express ourselves to the Lord as much as we can. As Christians, a critical point is that we’re not seeking the glory of Man. We’re seeking the glory that comes from God only. So, in a way, it doesn’t really matter how people respond and like, oh, it’s too worshipful or whatever. I mean, that’s too bad. I’m sorry they feel that way, but that would never change what I do. And I think most people wouldn’t want me to change. Even most people that don’t like it wouldn’t say, oh yeah, you should change how you are because we don’t like it. They’d probably say no, you know, he’s expressing himself, but not my cup of tea. Dave Coleman: I’ve seen a few people who actually say that they don’t believe as you believe but don’t have a problem with it. So they kind of defend you when other people criticize you. I think it’s refreshing to see somebody who has a fairly large platform being authentic and not being afraid to express himself. I mean, you’re not overly overt with your lyrical content. There are some of your albums that are more worship-oriented, but the Prog Rock stuff you’re doing…it’s not like it’s in your face. It’s refreshing to me to see you just being an authentic Christian. In a sense, you’re kind of “dancing like no one is watching.” So I commend you for your willingness to do that. So on to the next question. What does being a Christian mean to you and how has it affected your life? Neal Morse: Oh, wow. The verse that comes to mind would be “your life is not your own. You were bought with a price.” (1st Corinthians 6:19-20) So it affects absolutely everything because my life went from being mine to belonging to God and he’s so much better to me than I ever was to myself. That’s for sure. His ways are so much better and the love that he produces in our hearts and in our lives is just what we’ve always truly desired anyway. And so, yeah, it’s changed everything and it means everything. Dave Coleman: That’s good stuff. Okay. We’ve reached my last question. Do you have any gems of wisdom to pass on to Christian artists seeking to thrive as musical missionaries in the secular music world. Neal Morse: Uh, pray a lot. Spend a lot of time with the Lord. Try to surround yourself with people that are sincere. 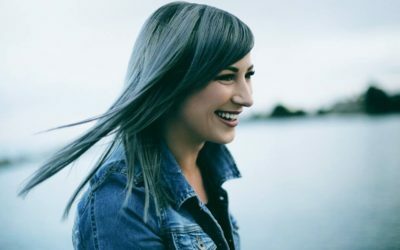 There are a lot of people out there, even in the Christian music world, that maybe have good intentions but, when it comes down to it, they care more about business than they do about Jesus. So just, you know, be careful. But as long as you’re all about him, then he’ll work it all out because your life doesn’t belong to you. It belongs to him. So it becomes his responsibility and he’ll keep his word. So I would say, just pray a lot and do what you feel to do, even if it doesn’t make any sense. Dave Coleman: Right. Yeah. I think that’s good word. Good information. So I’m hoping that what I’m doing here with JesusWired…the original mandate was to educate and equip Christian musicians to go out there and do this kind of stuff. We kinda got away from that but I’m hoping to get back to that. This opportunity to interview you and to do an album review reignited the desire in my heart. I’m hoping we can do that. I look forward to seeing you at the City Winery next month. And I also hope to make it to Morsefest this year. I really appreciate your time, Neal. I appreciate what you’re doing and the boldness with which you’re doing it. So I encourage you 100% to continue doing this, and may God bless your work. Neal Morse: Thank you, man. Thank you, Dave. Dave Coleman: Okay, you’re welcome. Well, once again, thanks so much for your time. Neal Morse: Take care, brother. Dave Coleman: Okay. Same to you. Check out our concert review of the Nashville show on February 2nd. Part 1 of 5 from the Nashville Show on 2/2/19 – catch the rest on our YouTube channel.